Last month, we announced that the Email Templates for the Online Forms App now supports auto-responses during form submission. 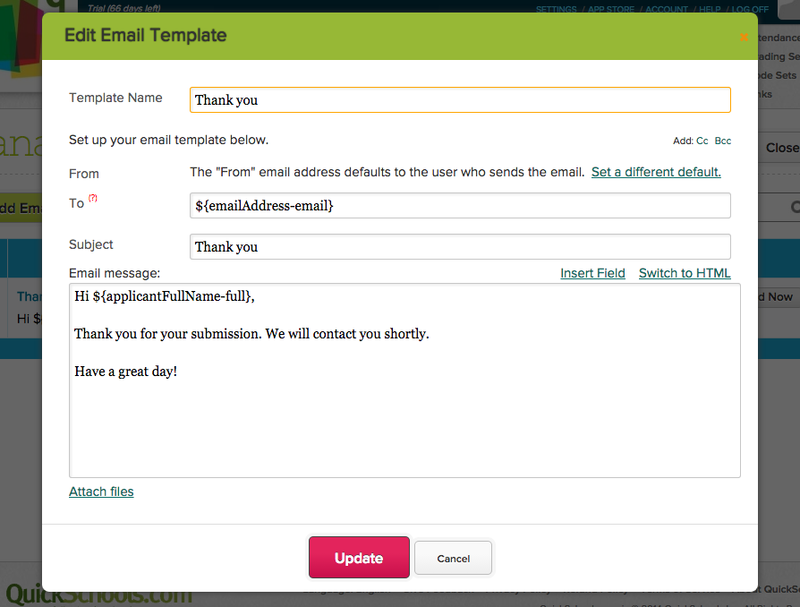 QuickSchools is now happy to announce that the Admissions module now supports Email Templates as well. 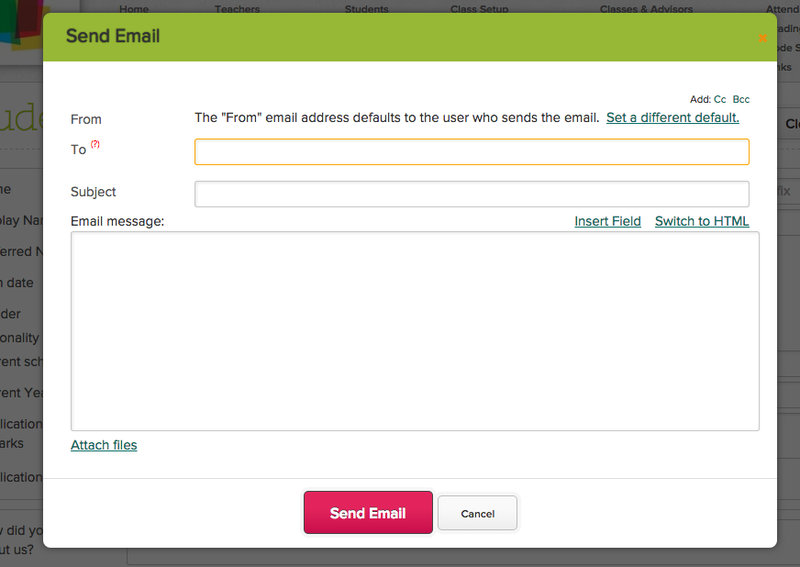 You can use the “Compose New Email” option to simply create a brand new email, without using a template. 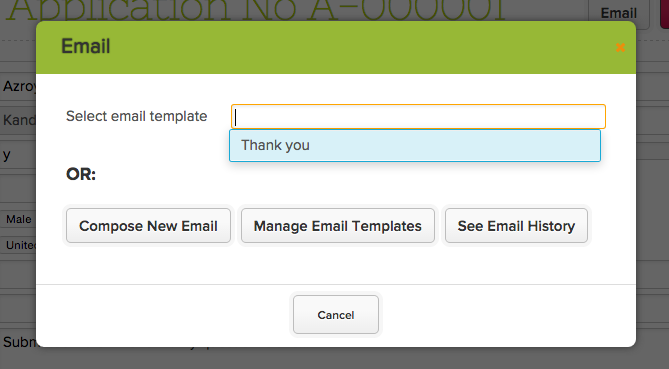 You can use this menu to create, edit and use email templates. Don’t forget to use the “Insert Field” link to create auto-generated fields. This screen simply shows all emails sent from this module, either all emails related to Applications or emails related to Inquiries (depending on which sub-module you’re on).